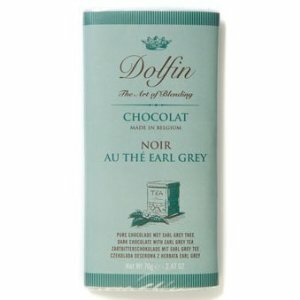 I tried this chocolate because in addition to my love for chocolate, I also greatly enjoy tea. I love the purity of the basic chocolate and the subtle layers of flavor that can be coaxed from the bean itself. However, the added flourishes of additional ingredients and the creativity with which they are created deserve their due. Earl Grey has that beautiful warm citrusy flavor that can only be produced by oil of bergamot, filling your mouth and saturating your taste buds in a fashion similar to that of an aroma reaching deeply into your sensory experience. The tea is apparent and contains a noticeable astringency, but does not overwhelm the classic cocoa flavor, reflective of its African origins. The chocolate itself is creamy and smooth, but there is something the consistency of salt that is present throughout. I am not sure if they are crystals that carry the Earl Grey flavor or if there is potentially little bits of tea leaf. The consummation of love between your after dinner tea and chocolate.